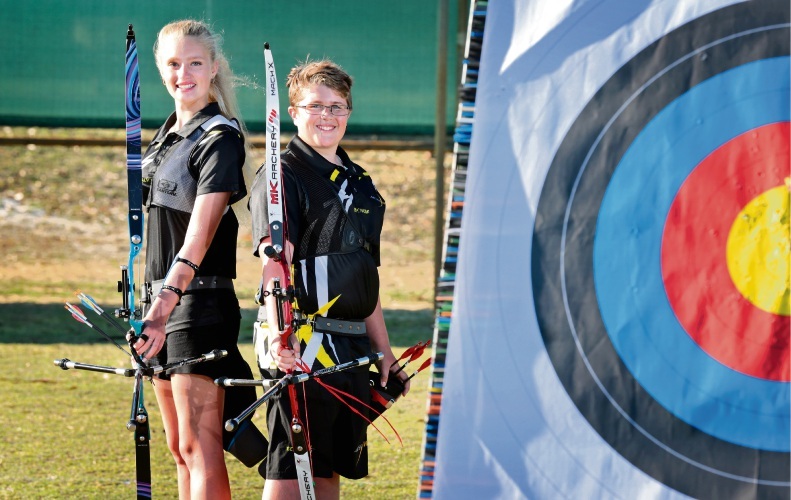 LANDSDALE siblings Meagan (15) and Harrison (13) Locke will represent WA in the 40th Archery Youth National Championships next month. The event will be held over four days from April 12 to 16 in Morwell, Victoria with young archers from across Australia competing in four archery disciplines – clout, field, target and short course. The Ashdale Secondary College students started archery about two years ago and are members of the Benara Bowmen Archery Club, based at the International Shooting Complex in Whiteman Park. They shoot recurve bows and are currently training up to five days a week to prepare for the competition. “They are looking forward to the experience, travelling with the other archers on the team and seeing how they measure up against Australia’s best,” their mother Tamara said. Fellow club member Danie-Louis Oosthuizen, of Yanchep, is also one of 13 junior archers in the State team.